When it comes to stir fries, we’re a house divided. I love them but I married someone who doesn’t care for stir fries. I get it, I do! If you don’t love veggies and you don’t love rice, then a stir fry isn’t going to be top of your list of Favourite Things to Eat. However, if you like a dinner, that’s quick, healthy and full of yum, a stir fry is going to be right up there on the top of your list of Favourite Dinners to Make. Anyhoo, this stir fry is one that everyone will love, even my husband, he of the discerning tastebud fame! 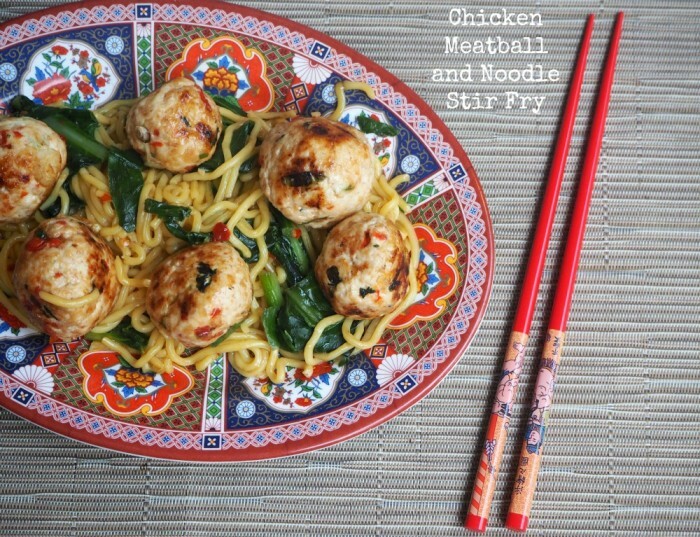 It’s rice free, there’s oodles of noodles, a few veggies and the hero of the dish, the chicken meatballs. Quite frankly, they’re amazeballs! This dinner is quick, easy and full of yum! As there are only two of us, we often halve the noodles, but make all the meatballs, because leftovers go great in sandwiches and salads the following day! Prepare the noodles following the packet instructions. Mix the chicken, spring onion, half the coriander, half the chilli and the breadcrumbs in a medium bowl and season. Using slightly wet hands, roll tablespoons of mixture into balls. 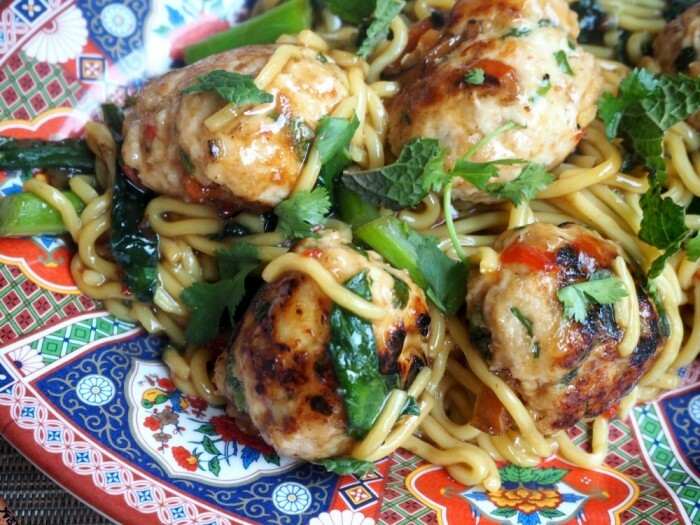 Heat 1 tablespoon of oil in a wok or large frying pan and stir fry the meatballs in batches until cooked through. Remove from the wok and set aside. Add the broccoli to the wok and stir fry for a couple of minutes until tender. Return the meatballs to the wok with the noodles and the sauces and stir fry until the noodles are heated through. Sprinkle with the remaining coriander and chilli before serving.